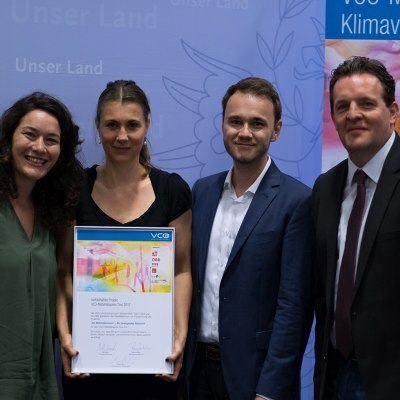 The VCÖ mobility prize is Austria's largest competition for sustainable mobility and is implemented in cooperation with the Ministry of Transport, the Ministry of the Environment and the ÖBB. Traffic is the biggest worry child in climate protection. This is why this year's VCÖ Mobilitätspreis Tirol was devoted to the subject of "klimaverträglich mobil". "The submitted projects and ideas show that mobility can be put on climate course. They have the courage to act on the ground and implement concrete improvements, "emphasizes Markus Gansterer, the VCÖ expert.